CafePress is the place for custom clocks, personalized clocks and photo clocks. 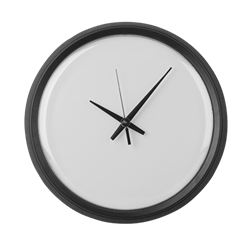 Choose from three different clock styles. 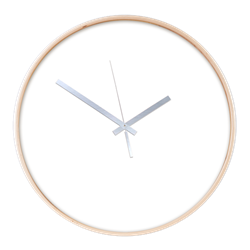 Standard Wall Clock - Decorate any room in your home or office with our 10 inch wall clock. Black plastic case. Requires 1 AA battery (included). Large Wall Clock - Measuring an impressive 17"" in diameter, this Large Wall Clock is easy to read from across the room. Features a rugged plastic body and face, has quality Quartz movement, and single "AA" battery included. 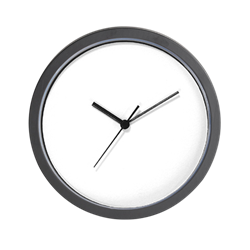 Modern Aluminum Wall Clock - With a stylish aluminum body and sturdy plexiglass face, this Modern Wall Clock is both great-looking and durable. Measures 14"" in diameter, featuring Quartz movement for true accuracy, and single "AA" battery included. This beautiful wood-framed wall clock has a birch finish for a modern and stylish look. Plus, the oversized wall clock is easy to read and oh so timely. Birch wood finish. Discount on bulk orders, No set up fees, no minimum order requirementss.